On March 23rd, the Peace Community of San José de Apartadó celebrated its 18 year anniversary. This community of campesinos , located in the war-torn northwestern Urabá region of Colombia, refuses collaboration with any of country’s armed groups, including guerrilla, paramilitary, and State forces. Lesson 1) The experience of the Peace Community of San José de Apartadó unmasks the modern State. Since 1997, the Peace Community has demanded the right to live as campesinos without the presence or control of armed groups. One might imagine that such a community of 1,300 farmers wanting to live nonviolently and with autonomy by expelling guerrillas and paramilitaries — that the government claims to combat — would be welcomed by the Colombian State, even if this also means the retreat of its own military forces, since such a retreat would reflect a step towards peace. However, the State’s reaction has been the opposite, as illustrated by 186 assassinations of civilians attributed to army soldiers and paramilitaries over the past 18 years, in addition to 24 killings the Community attributes to guerrilla groups. The violence in San José de Apartadó is linked with the region’s abundant natural resources — water and mineral reserves — targeted for extraction. Private and public corporations that profit from such exploitation covet these resources, but in the process, they destroy the land and forcibly displace the people that live there through armed intimidation. Such processes have occurred in many parts of Colombia and the world: nearby areas in Chocó and Córdoba where black and campesino communities were displaced in the 1990s have been transformed into mass oil palm plantations and the Urrá hydroelectric dam, respectively. The majority of human rights violations in Colombia today are committed in zones of mining and oil extraction. Yet, the war is not reducible to a struggle over economic resources. It is also about the way these campesinos challenge the State’s coercive relation of power. In San José, public investment by the government has in some cases taken the form of giving out genetically modified seeds and beans, despite that the latter are among the easiest crops to cultivate in the region. This suggests a strategic project to justify the presence of the State and its armed forces, to generate dependency on the government and on corporations, and thus to subjugate the population. In response, the Peace Community only strengthens its resistance and insistence upon autonomy, in spite of other campesinos in the area that accept such donations. These military and humanitarian policies, framed within discourses of development and human rights, are not exceptions to the rule. They expose the modern State’s true priorities: its self-preservation, the continued accumulation of capital, and maintaining the legitimacy of its exercise of violent force, whatever the costs. Political autonomy: the Community rejects any political control or interference by all State and non-State armed groups. Horizontalism: collective decision-making in general assemblies and village meetings. Economic self-determination: the Community sustains itself through food crops (corn, beans, sugarcane, chickens) and commercial crops (organic cacao) while also experimenting with food sovereignty through agricultural centers and self-sufficient farms where they preserve seeds and medicinal plants. This autonomy does not only consist of an internal solidarity through the communal work of its members. 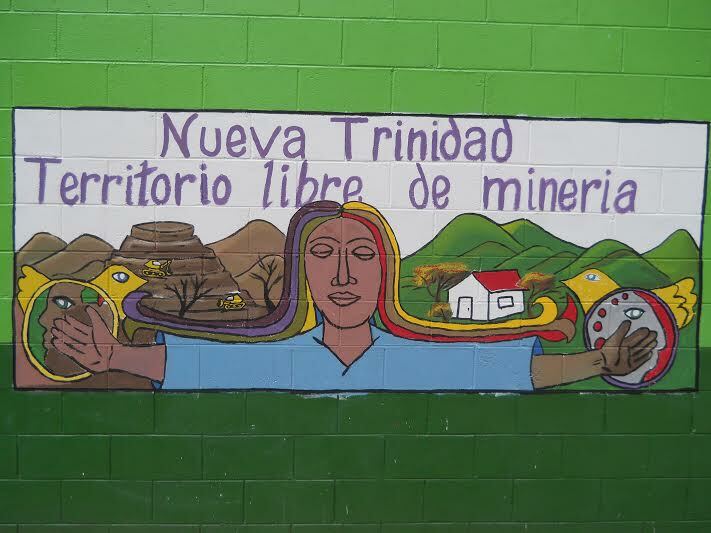 It also involves external solidarity through networks of legal human rights institutions and other organizations, such as the Campesino University of Resistance, in which communities share and produce knowledge about health, media communication, pedagogies of campesino and community education, and juridical strategies to resist communities’ forced displacement. In a state of impunity, the Community enacts their own justice. They honor their martyrs and testify to the realities of war with dignity through a multitude of collective memory practices: commemoration pilgrimages to the sites of massacres; building monuments and painting stones with victims’ names; and demonstration marches in different cities to the offices of governmental agencies. When members and those that accompany them walk, the mobilize the history of the Community with their bodies. And pilgrimages in San José occupy the lands they are defending, from where they have been displaced, and to where they want to return. These commemorations bring members dispersed across eleven villages and community allies together on a regular basis. They help to educate children about the history of the Community and to incorporate new members into the community process. 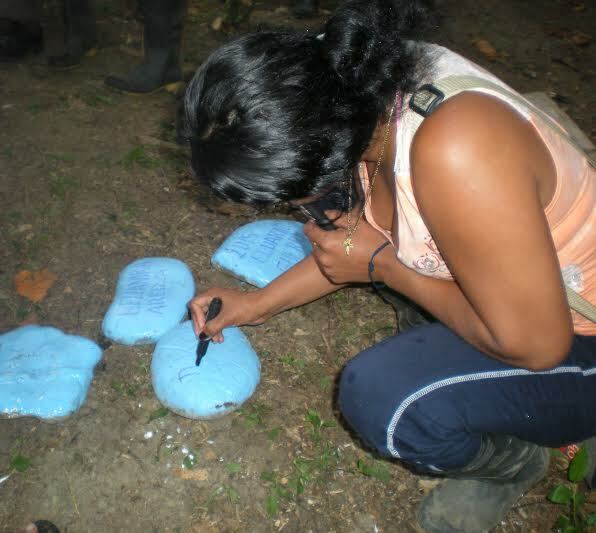 They potentiate opportunities for collective work: for example, the annual commemoration of the 2005 massacre in Mulatos and La Resbalosa is frequently followed by a gathering of the Campesino University or other workshops. These encounters create spaces where ties between people are created and strengthened; they cultivate cohesion and a collective consciousness through the sharing and strengthening of analysis about the current context. Given the immense challenges of emancipatory change, such gatherings, especially these that affirm and write our history, are fundamental for social movements to continually reflect, get to know one another, integrate new members, and motivate themselves to continue the struggle. 4) We must work from who we are, what we love doing, and the practices that improve and give our lives meaning. As campesinos, the residents of San José de Apartadó love to farm, and they love to walk, in groups. 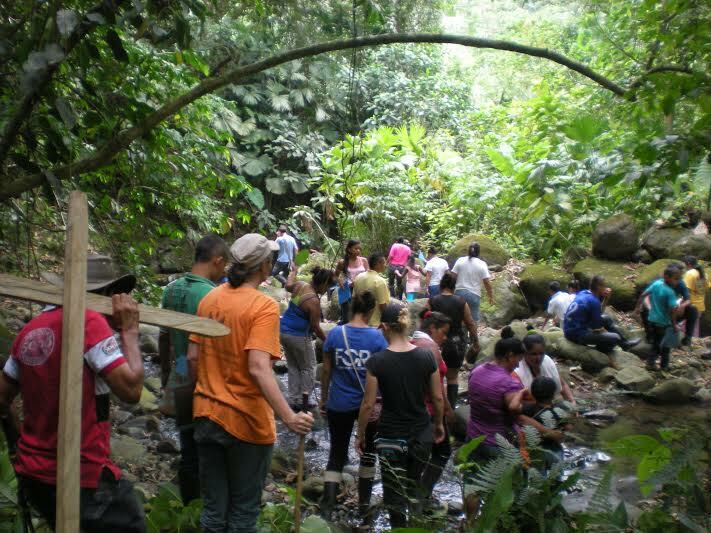 Harnessing their joy of hiking and visiting new villages, the Community organizes pilgrimages across the region, including memory marches, as well as caravans in solidarity with other campesinos threatened in the region. In addition, they previously harvested their crops through the tradition of the convite, or family work group, similar to what is called the minga in other places, in which collective work is fundamental. No longer organized around family ties, today this practice is re-invented through village work groups or projects that involve participation of the entire community. The persistence of the organized Peace Community project for 18 years is partially explainable by the fact that they are struggling through what they enjoy doing, and through daily practices that are meaningful to them and that improve their material conditions. The Community re-creates its identity and campesino practices in such a way that contributes to the “conscientization” of the community as not merely walking and farming for their own sake, but as practices that cultivate dignified and solidary life amidst the war. Chris Courtheyn is a doctoral student in Geography at the University of North Carolina, Chapel Hill. He previously worked as a protective accompanier with the Fellowship of Reconciliation Peace Presence (FOR PP peacepresence.org ) and is currently a member of FOR PP’s Board of Directors. He can be reached at courtheyn@unc.edu . * These reflections are the product of countless experiences and conversations with Community members and those that accompany them. As such, they reflect collective rather than individual knowledge, although that is not to deny my particular perspective as a solidarity activist and academic researcher from the United States. In no way am I claiming to be a spokesperson for the Peace Community; my goal here is simply to enunciate what I deem valuable lessons about political action that I have learned from walking and working with them over the past seven years. I am neither looking to create an exhaustive list of lessons to be gleaned from the Community nor do I intend to infer that these only apply to San José de Apartadó; rather, such knowledges reflect the praxis of diverse collectives and social movements. It is my hope that this article contributes to our emancipatory praxis of critical, continual, and collective reflection/action for social change, life, and dignity. Thank you to SebAs and Diana Gómez for their ideas and editing that greatly contributed to this article. Of course, any error in understanding or analysis is mine alone.